I'm downloading via Steam right now, and I just wanted to drop a post of "Congratulations!" to Stardock and the team. Thanks for making what I know is going to be another awesome Stardock game. Thank you! I've only started playing but... Stardock nailed it! 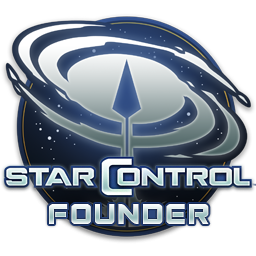 It is Star Control! It is the one game I've waited for so many years! I just finished playing for over 12 hours. I forgot to eat lunch and almost missed eating dinner! Stardock, you really did nail it! Outside of a slow fps while on some planets, the performance is great. My only complaint so far is that you should get more RU's for critter meat, or have the larger animals give more of it. I can make more RU's from even collecting the resources that are only 1 RU each, then I can from killing critters. Does the amount of RU's you get for critters go up as you play. I thought it started at 15 RU's, then the last time I sold them, I think they were 25. Still at 25, some critters take 15 or so shots for just 1 critter meat. I can get that from just 2-3 nodes from the lowest resource, cause most nodes have 10-15 resources or more in them.